American citizens were killed and injured in the attack on the Intercontinental Hotel in Kabul, Afghanistan, on Saturday, according to a State Department official. "We can confirm that there were US citizen fatalities and injuries," a US official said, as quoted by AFP. He did not specify how many Americans were involved. "We offer our deepest condolences to the families and friends of those who were killed and wish for the speedy recovery of those wounded." The State Department says the United States is sending “deepest condolences” to the families and friends of those killed, and wishing a speedy recovery to those wounded, Reuters reported. The attack occurred when gunmen burst into the hotel on Saturday night, opening fire on guests and staff members and taking dozens of people hostage. The incident led to a 12-hour standoff with police, with all of the attackers ultimately being shot dead by authorities. Desperate hostages were seen using bedsheets to shimmy to the ground from their balconies during the standoff. 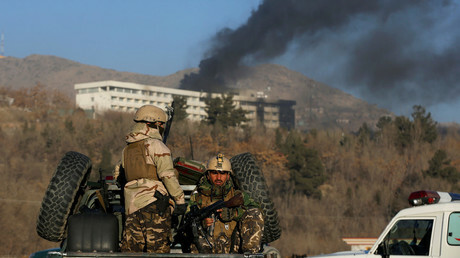 Afghanistan's Interior Ministry said on Sunday that 18 people had been killed in the incident, including 14 foreigners. Six of the foreigners were Ukrainian citizens, according to Kiev. Eleven of those killed reportedly worked for KamAir, a private Afghan airline. 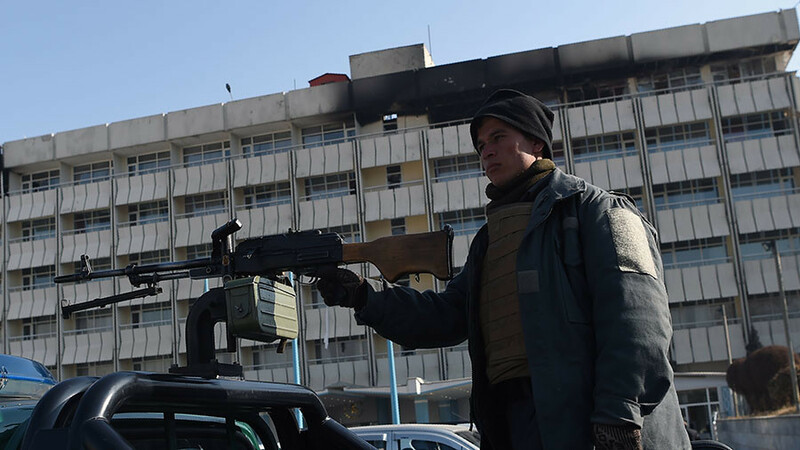 The Taliban claimed responsibility for the attack, making it the second time the group has targeted the Intercontinental Hotel. An assault in 2011 left 21 people dead there, including 10 civilians and nine assailants. Hours after the attack on Saturday, US airstrikes killed dozens of insurgents in two districts of southeastern Paktika province, Afghan news agency Pajhwok reported, citing police. A total of 63 militants were killed and their weapons and structures destroyed, Provincial Police Chief Col. Mohammad Azeem Hashmi said. However, Taliban spokesman Zabihullah Mujahid said the group’s members escaped unharmed.